Even though there are some truly wild ‘remedies’ that are touted as true, and some wives tales that no one has fact-checked for generations, some of them are still useful and can save you time or money down the line. Here is a list of ten of these natural remedies that actually work, and a look at why. Over the years, plenty of DIY deodorizers have surged into popularity as frugality, and a more natural approach has grown. One of the most popular that is still being regularly used is a combination of vinegar, water, and some kind of fragrance. The problem with vinegar is that while it may kill the offensive odor, it will leave its own behind. This can sometimes be unpleasant. Vodka is an excellent alternative. You can use it on shoes without the moisture hanging around in the material; you can use it on your couch to kill off the smell of cigarettes or pets, you can even spray it directly on your feet if they’re a problem. The reason that vodka works is that the alcohol content is high enough to kill off the bacteria that is causing the scent, and the alcohol also causes it to evaporate quickly so that no moisture stays around afterward. Whitening your teeth with over the counter products, whether they are advertised as natural or not, can be damaging to the enamel on your teeth. Despite all of the warnings about what acid can do to your teeth, acids have been used in the process of whitening as far back as the Middle Ages when nitric acid was used. Malic acid is one of the most popular components of take-home whitening kits on the market today. Natural malic acid is more acidic than citric acid, and even vitamin C, so in high concentrations or for extended periods of time it will damage your teeth. In smaller concentrations, though, it is extremely effective in removing surface stains from teeth. It can be found in many fruits like strawberries, and apples. The process of eating apples naturally scrubs the teeth, and the malic acid helps lift surface stains as you eat them. Studies over the past decade have had mixed results when it comes to duct tape and its efficacy for the removal of warts. Doctors and scientists also have mixed reviews on the topic. It does work, but there is little information on how or why. The most common thing you will hear is that “it suffocates it,” but it goes deeper than that. Some sources say that duct tape contains formaldehyde, which is antimicrobial and antiviral. The theory is that the tape allows for it to penetrate down into the blemish and heal the wart that way. The most likely way that it works is by stimulating the immune response. Warts aren’t particularly painful, but covering them with tape increases your body’s awareness of it. The adhesive irritating the skin, as well as the subtle pulling and tugging on that area of skin, could be creating a heightened immune response, thus killing the wart. Honey is great for fighting bacteria inside the body, and on the skin. Honey on the skin helps in a variety of ways. Raw, natural honey is antifungal, antimicrobial, and antiviral. The viscosity of honey also creates a nice barrier over the wound, and it has an osmotic effect that will keep out excess moisture. It creates a perfect and clean environment for a wound to heal. Inside the body, honey is just as effective. Honey contains properties that make communication between the bacteria cells impossible, which makes it so that things called biofilms can’t form. Biofilms are basically communities of bacteria, where diseases can grow. By making it so bacteria can’t communicate, it also stops them from releasing toxins Additionally, the osmotic effect of honey dehydrates bacteria inside the body, which forces them to die off. Athlete’s foot is fairly prevalent, especially because of the increase in the popularity of canvas shoes, slip-ons that don’t allow for socks, and even the wearing of heels. Moisture from sweat and the pressure of a tight shoe cause the skin between your toes to get rubbed raw and eventually this leads to the fungal infection tinea pedis, which is colloquially known as athlete’s foot. There is an excess of 3 million cases of this condition each year. It is extremely painful and spreads easily. Luckily, though, it is easy to prevent. Soaking your feet in mouthwash can do the trick just fine. The alcohol in mouthwash helps kill off any bacteria, and it is slightly drying which will help dry out any existing fungus on your feet. You can also just wipe your feet off with a damp cotton ball that has been soaked in mouthwash to prevent athlete’s foot from occurring in the first place. Everyone knows there is nothing that will cool you off better in the summer than a nice cup of iced tea. It can cool you off in more ways than you were aware of, though. Sunburn makes your skin hurt, dries it out, and can cause blistering and peeling. Tea can help with all of those problems and may even help you get a tan once the burn heals. You have to steep tea until it is practically completely black, and then once it is cool, you dab it lightly on the affected area. Why this helps is because black tea contains tannic acid, theobromine, and catechins. Tannic acid helps reduce the sting of sunburn, theobromine is a vasodilator that allows more blood to flow to the area and speed healing, and catechins are strong antioxidants that help repair the skin. This is not safe to apply to broken skin or sun poisoning. Ginger is something that has been documented as a panacea in the realm of natural healing for a long time, and it is probably something you have used in the past. Even hospitals will give warm ginger ale to patients with upset stomachs to sip in order to alleviate their nausea. Doctors recommend it for pregnant people, those with motion sickness, and even those who are nauseous following chemotherapy. This is something that everyone is aware that it works, but it is rarely discussed how. Studies document that gingerols and shogaols that are found in ginger are what makes it so effective against gastrointestinal woes. Some research suggests it helps stop nausea due to having a carminative effect, which helps to break up and expel intestinal gas. Additionally, it has been suggested that it has to do with the way it interacts with serotonin. People with acne are reasonably wary of putting anything that sounds remotely like “oil” or feels even the slightest bit oily on their skin. 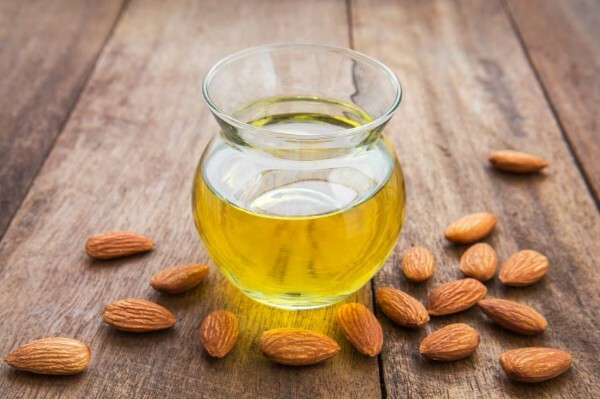 However, almond oil has been shown to be useful in the treatment of acne, and even other skin conditions like rosacea. Acne is usually caused by the skin producing too much of an oily substance called sebum. Sebum blocks pores and clings to debris such as dead skin and dirt. Almond oil, which has been used in soaps for a long time, can help. Applying almond oil directly to the skin is safe, unlike with other oils. How it works is by naturally exfoliating the skin to help slough off dead skin, it is an emollient which softens and moisturizes the skin while calming it down, but the big benefit is that the fatty acids found in almond oil actually help break down sebum. 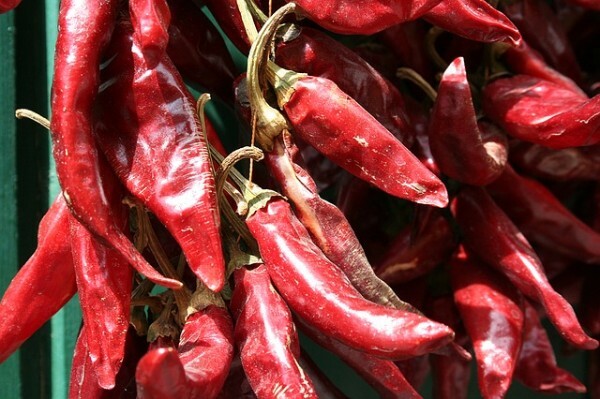 Capsaicin has been used for an extended period to help fight pain. You can find it on the shelves of your local drug store, and there are even prescription creams that contain the chemical. The manner in which you’re probably most familiar with capsaicin is on your hot wings. It is the chemical compound that makes peppers hot. This chemical compound is added to a variety of topical creams or gels that can be used for minor aches and pains, and can even help with severe chronic conditions like arthritis or diabetic neuropathy. Most people assume that the warming sensation is what causes pain to dissipate, which may help but the real reason is much more technical. A peptide, commonly called Substance P, is what is responsible for pain in the body. Capsaicin depletes your body’s supply of this neurotransmitter, which reduces pain. A study conducted in 2006 yielded astounding results in regards to this home remedy. 95% of participants stated that after applying peppermint oil to their skin, they saw their pain decrease within ten minutes. The same percentage claimed they had no pain in as little as thirty minutes. Topical headache relief has been a source of skepticism, and almost completely laughable since the early 2000s when our TVs collectively shouted “Head On! Apply directly to the forehead!” and gave us no further information. In reality, topical headache relief is an incredible alternative, especially for people who can’t take oral medication or who worry about medicinal interaction. 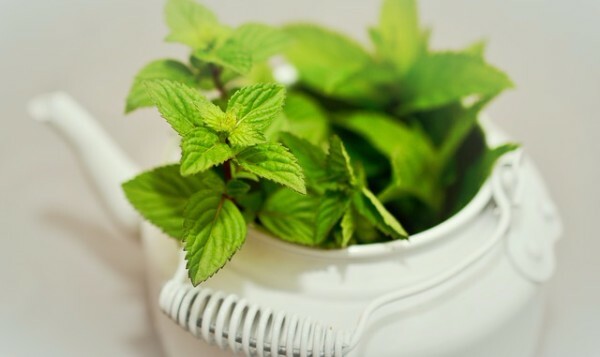 The way that peppermint oil works is by allowing more blood to flow into tense muscles in the head and neck when applied to the skin, which would subsequently release the tension and caused the headache to subside. Additionally, peppermint reduces sensitivity to pain.